Hacks Hackers Summer Picnic Redux! 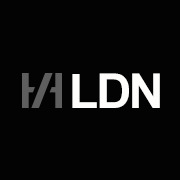 Please note that the Hacks/Hackers London event signup and waiting list have moved to Eventbrite. We will not be opening RSVPs via Meetup.com, nor announcing events or ticket release times via Meetup.com. All event announcements will be made via our Mailchimp mailing list. Journalists call themselves "hacks," someone who can churn out words in any situation. Hackers use the digital equivalent of duct tape to whip out code. Hacker-journalists try and bridge the two worlds. This group is to bring all these people together -- those who are working to help people make sense of their world. It's for hackers exploring technologies to filter and visualize information, and for journalists who use technology to find and tell stories. In the age of information overload, all their work has become even more crucial. Originally founded in San Francisco in November 2009, this group aims to help members find inspiration and think in new directions, bringing together potential collaborators for projects and new ventures.